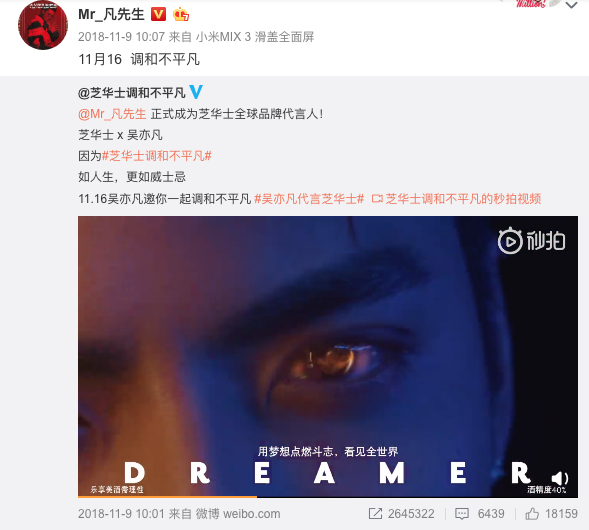 Home Entertainment Let’s Check Out Kris Wu’s Weibo and Instagram Feeds! 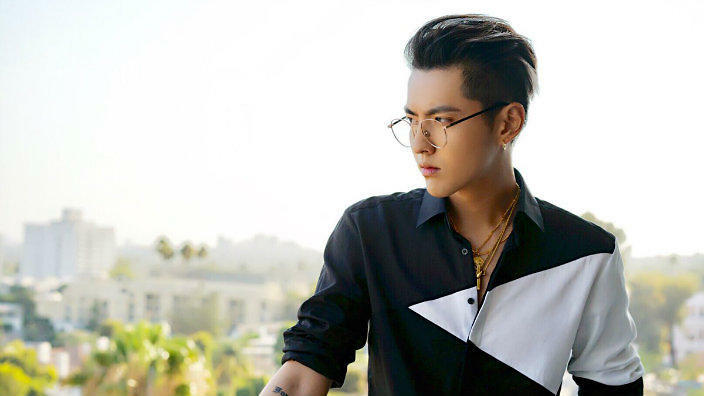 Meet This Stunning Rapper, Actor, and Model from China, Kris Wu! Kris Wu is a Chinese actor, rapper, model, and singer who is also a former member of EXO. When he was in EXO, he used to be a part of EXO-M as the leader. But, since he’s no longer in EXO nor doing activities in Korea, he is now a solo artist who is more active in his home country and even Hollywood. Weibo is a social media from China that is usually used by Chinese people. Most Chinese artists, whether singers, actors, or actresses, usually use Weibo to interact with their fans. 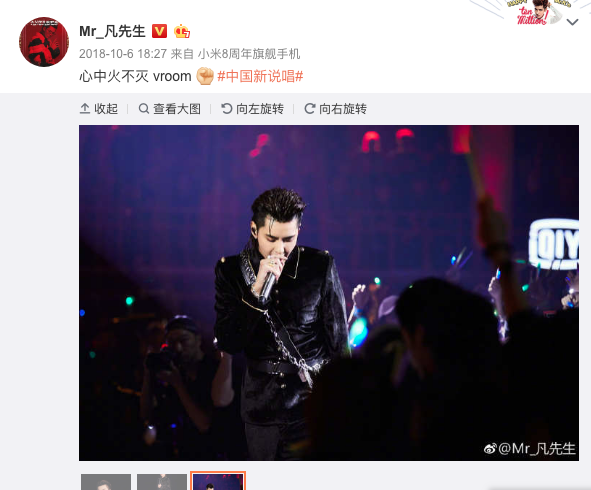 Now, you must be curious about Kris Wu’s Weibo page. Well, wait no more, here it is! He shared to his fans that Louis Vuitton has announced that he is now the brand’s spokesperson and jointly opened a non-“every” journey. Congrats, Kris! A picture of Kris on the plan’s wing? Still looks cool as he is! Indeed, his coolness is beyond the galaxy! Not only Louis Vuitton, but Kris also got a chance to be the brand’s spokesperson of Chivas Regal! He shared the cool video of Chivas x Kris. Once again, a cool set pictures of Kris! 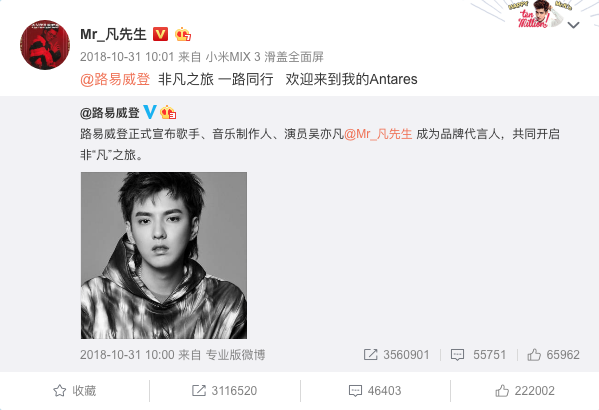 On his birthday, Kris shared a sneak peek of his next project, an album that he has prepared for. He also asked fans to listen to it, and the songs on the album will make you get to know more about Kris! After seeing fascinating posts of Kris in his official Weibo account, you must be curious about how is the feed of his Instagram account. Well, let’s take a look quickly! Kris made a collaboration with Noisey and pose with his rare car collection. A picture of him with a car melts our heart already! Oof. Who said that red doesn’t look good on him? Indeed, he looks totally cool with purple as well. Louis Vuitton x Kris once again! Kris shared a teaser for his comeback! Also a teaser for his comeback! A short interview about his Kris and his latest album. He looks so cool with a beanie and round glasses. Kris when he held a concert in San Francisco, promoting his song called November Rain. A teaser of his comeback song called November Rain. Kris poses for an event of Vogue. Looks so hot in retro style! 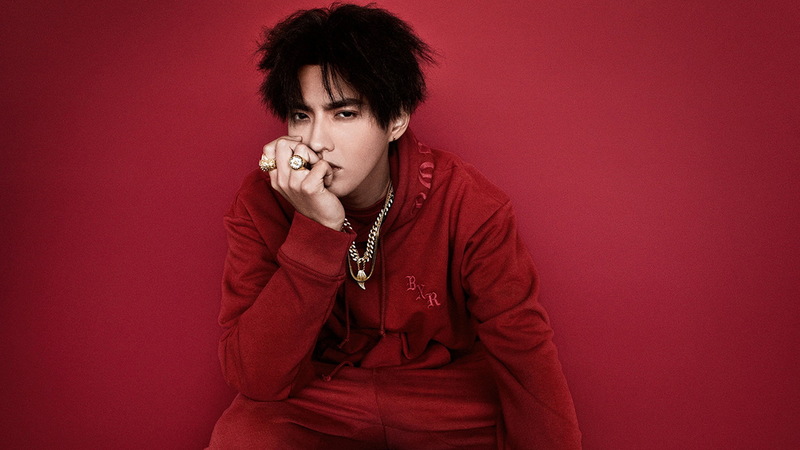 After being active as a model and also a rapper and music producer, Kris has made a lot of collaborations with fashion brands and released his latest comeback in November 2018. 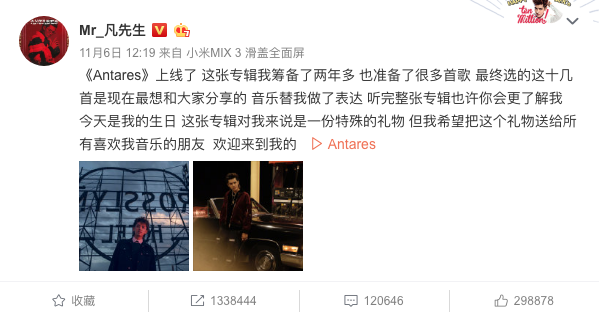 The album called Antares released around the same time with EXO’s comeback, but he still managed to make it a big hit and reached the first chart position on iTunes. Even so, there were some people that assumed Kris’ achievement was because of bots that made the song rise in the charts like that. Well, there were no bots. It’s just they didn’t know how popular Kris is. Regarding the collaborations that he made with a lot of fashion brands, he finally released his own fashion brand. 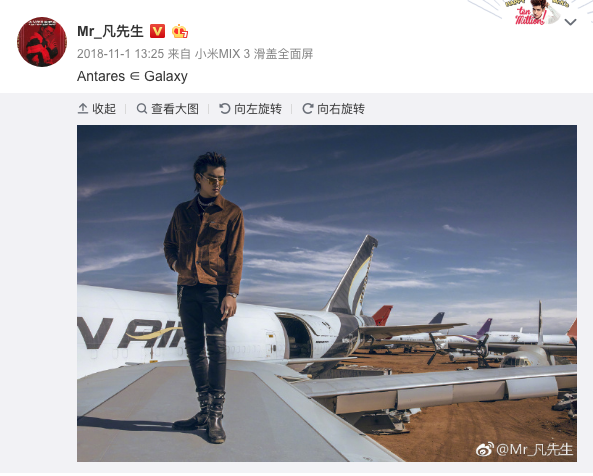 In December 2018, Kris launched a fashion brand in collaboration with Xiaomi, the smartphone brand. The brand will be sold in Alibaba’s Tmall under the brand ACE (Accessory Culture Evolution). This also will be the first time Kris took a personal stake in the company.